What a fascinating, confounding, and at times, oddly entertaining election cycle this has been. Hillary Clinton’s ascent to being the 2016 Democrat nominee was no surprise, of course, though the myriad of scandal-baggage she continues to drag behind her was, even by Clinton standards, somewhat unexpected. As for Donald Trump, who would have thought? I lost count months ago how many counted him out, declared him defeated, only to see the mercurial New York billionaire battle back and then, even more unexpectedly, WIN, time and time again. Perhaps I am in the minority these days, but I still believe elections matter. By the very nature of this country’s immense power, the President of the United States remains the single greatest singular force for potential good, or misdeeds, in the world. That said, there have been moments where both the two leading candidates for that job have left me deeply disappointed. With Mr. Trump, it is his repeated verbal missteps. I’m not speaking in politically-correct terms here, but that of a strategist who believes if one is to win, one does not so willingly give your enemy the very weapons for your defeat. 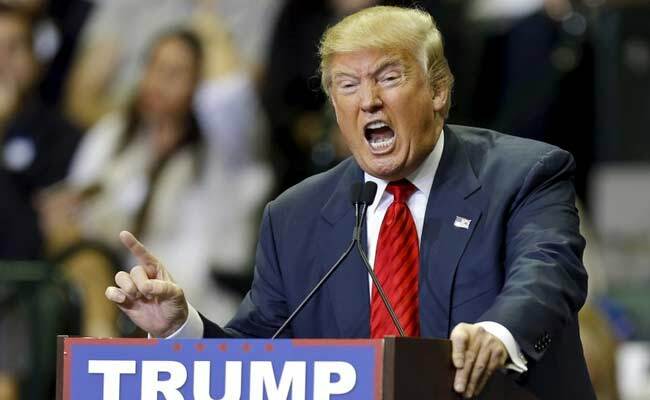 Donald Trump is no politician, which of course, is what makes him both so attractive, and at times, so frustrating, or in some cases, repulsive. Then we have Hillary Clinton, the political-dynasty shadow to her once far more capable politico husband and former president, Bill. She is driven to win, to be sure, and yet, has had difficulty explaining to voters what the actual purpose of that intended victory actually is. Would it be to better America, or merely to better herself, and her House of Clinton and its often dark and murky legacy upon this country’s political landscape? I have witnessed first-hand a Hillary Clinton political rally. It is a rather tepid affair bordering on dejection. The small crowd is repeatedly coached to cheer loudly, the staging is a tired retread of political campaign’s past, and even as the candidate (slowly and carefully) takes the stage, the applause feels forced, and the candidate even more so. 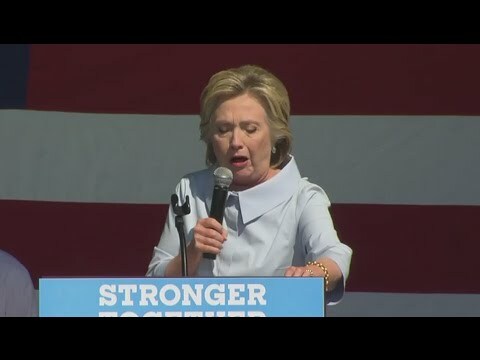 I read recently of how a Hillary campaign event is similar to an Elvis concert circa 1976 – indifferent, bloated, and seemingly on the brink of public collapse. Juxtapose that to a Donald Trump rally. Thousands more arrive, far more enthusiastic to be sure, but perhaps there as much for the superficial spectacle as genuine political motivation, like a travelling circus that though certain to entertain, once done, will be quickly forgotten by those who attended. Trump himself is remarkably high-energy for a man of seventy years. He is both taller and thinner than he appears on television, with a voice that has a remarkable ability to whisper with great volume, and yet, from that now famous pursed-lip mouth will come a statement or two that leaves you shaking your head as your realize he really did say something you know will be easily (and happily) construed by the Mainstream Media machine as offensive. There is plenty to parody in both candidates, though of course the more interesting and volatile Trump receives far more in the way of comedic interpretation. I once thought these entertainment industry assaults might hurt Trump, but of late, I’ve started to wonder if they’ve somehow made him that much stronger. Americans have a long history of gravitating toward the underdog, or to those deemed “dangerous” by the establishment. How ironic would it be to see the radicals of the sixties who now control the political and media machine, be defeated by a figure who has become the political radical of this era? Can Donald Trump actually win in November? More important is if his winning, or his losing, would be good for the country, for there is where my concern resides. With Hillary Clinton, we know what we’re getting – a lifetime politician with a lifetime of experience, who has likely worked toward the goal of being president for the entirety of her adult life. She is as well-connected to the great political machine as any who has sought that office. Donald Trump is that most rare of political creatures – a true and undeniable unknown. Unpolished, energetic, prone to self-inflicted political wounds, but also someone with the ability to shout through the layers of Washington D.C. nonsense and cut to the core of what troubles so many regarding our collective present and shared future. Is this a time to vote for the known or the unknown? Do we accept the way things are, or risk trying for the way they could be? Either choice could give us disastrous results. It’s not my place to try and convince you of that. Your vote is a sacred thing. I only ask that you give it some thought before choosing.